As a student’s goals and program of study change, transferring might be a good option. For this reason, we welcome the application of transfer students who have begun their undergraduate work at another institution. Any questions about transfer applications can be directed to Marcus Johnson, transfer admission coordinator. 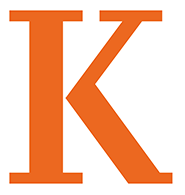 To apply to Kalamazoo College, go to the Common Application for transfer students. Mid-year transfers: While most of our transfer students find fall the optimal time to transfer into the College, we do offer entry to our winter term (January) for a small number of transfer students. If you are interested in mid-year entry, you must have a 3.3 or higher cumulative college grade point average and apply by November 15. Determination of transfer credit will be made only after an offer of admission has been released. All credit is awarded by the Registrar in consultation with departmental faculty; admission staff cannot evaluate transcript for transfer credit prior to admission. Transfer students must meet all Kalamazoo College degree requirements, as detailed in Housing and Board Requirements and the Placement and Transfer Information section of our academic catalog. Final high school transcript or its equivalent: Accepted transcripts must show date of graduation, all courses taken and grades earned in those courses. If a high school experience includes dual enrollment courses, and the transcript does not detail names of dual enrollment courses or grades earned, the College requires the transcript from the college/university of dual enrollment as well as the final high school transcript. Official transcripts from all colleges/universities attended: Includes all colleges attended as either degree-seeking or guest student after completion of high school or its equivalent. Transcripts showing all courses completed and grades completed are preferred; however, applicants with one year of previous college experience can submit, for example, transcripts showing grades for fall term courses completed and scheduled spring term courses by the May 1 deadline. On a case-by-case basis, application reviewers may delay rendering an admission decision until after a transcript showing all courses completed can be submitted. College report from last college/university attended: This document, found through the Common Application, affirms that the applicant is in good standing at their previous college experience, with no outstanding holds that might impact an admission decision (e.g., conduct violations, academic holds). The campus administration office which manages release of an official transcript (e.g., registrar, student records, transfer coordination office) typically completes the “To The College Official” section beginning at the bottom of the first page; the applicant completes the information at the top. Completed forms can be sent directly to the transfer admission coordinator or Office of Admission. Academic evaluation: Equivalent to a teacher recommendation, this document is completed by an instructor, preferably in a college or university environment, regarding classroom performance. Questions regarding transfer applications can be directed to Marcus Johnson, transfer admission coordinator.